Click order to get started. Get the latest info from our industry! 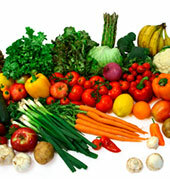 Our mission is to “Exceed Our Customer Expectations” while supplying fresh produce and other essential food products to our customers with an emphasis on excellence in customer service, innovation, fair pricing, and responsiveness to customers’ needs. We have been able to accomplish our mission through mutually-beneficial relationships with our customers, employees, and vendors. We truly take pride in our customers’ success because it is through their success that we accomplish our mission. 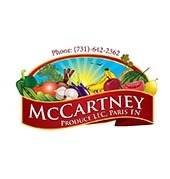 McCartney Produce © 2015 • Web Development by Twin Oaks Technology.